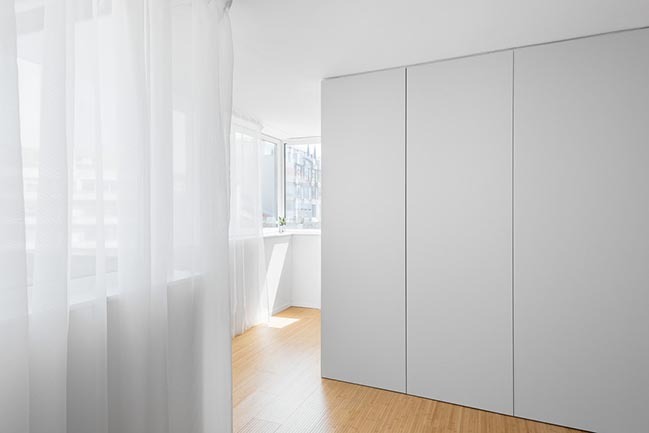 Primarily the project aims to provide storage capacity, spatial versatility and the best use of the available area. 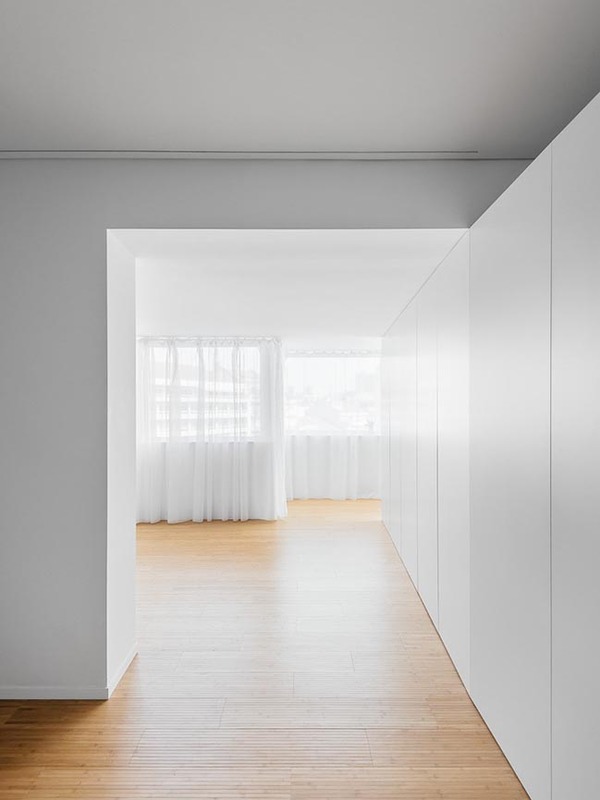 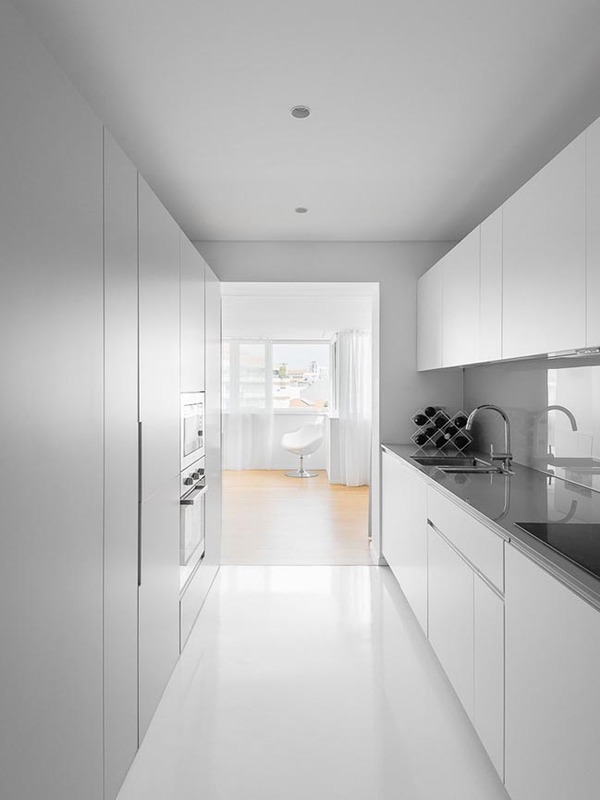 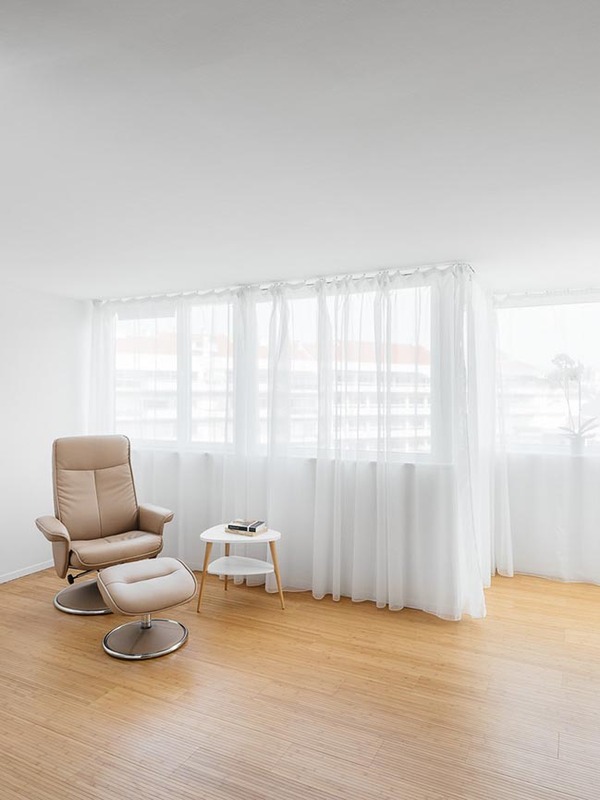 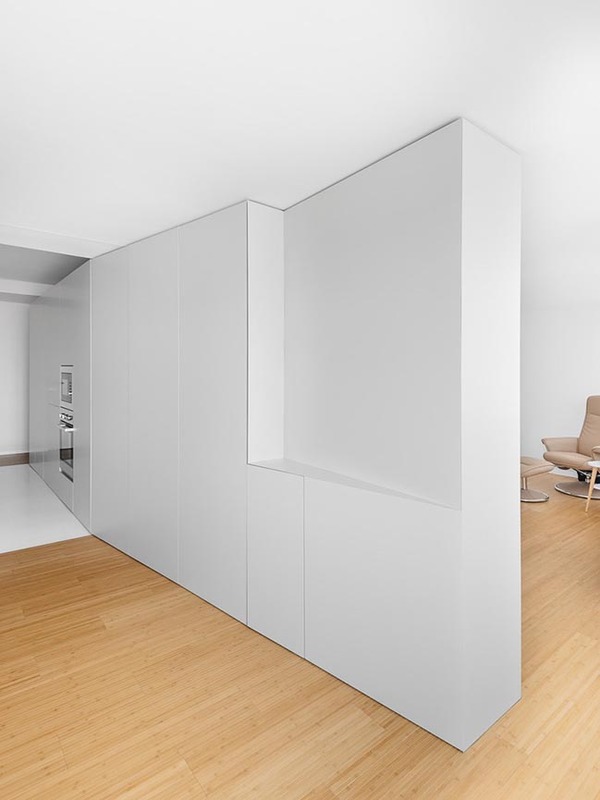 The apartment counts with a single windows front, which turns the diffusion of the natural light and the relation between spaces naturally prominent too. 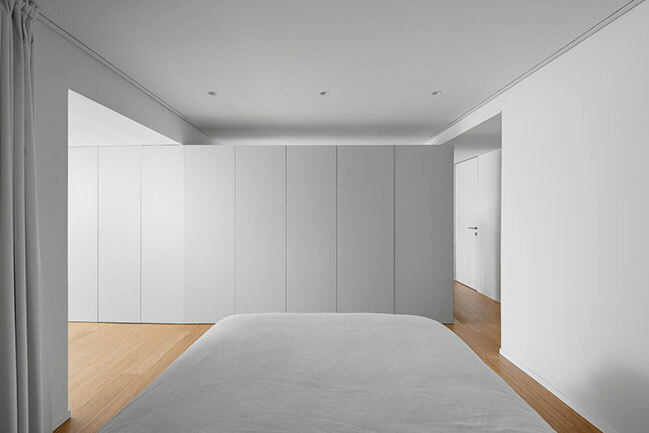 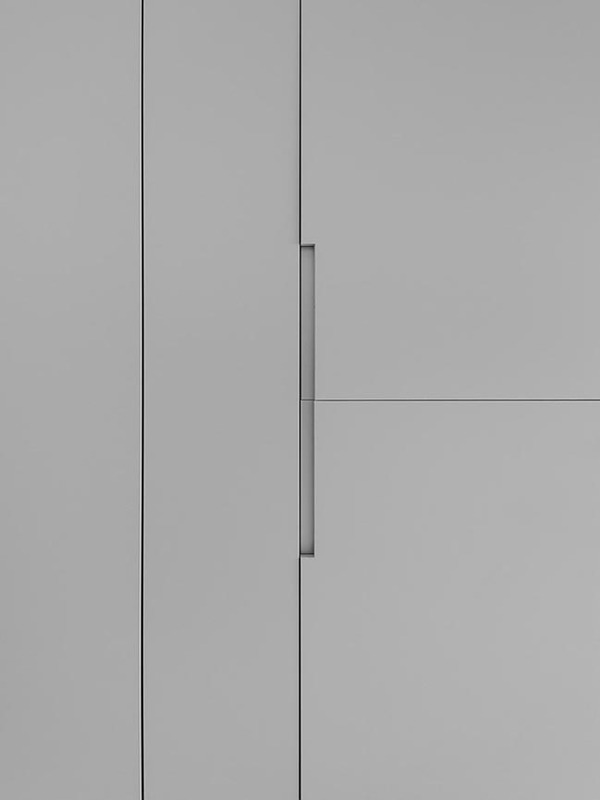 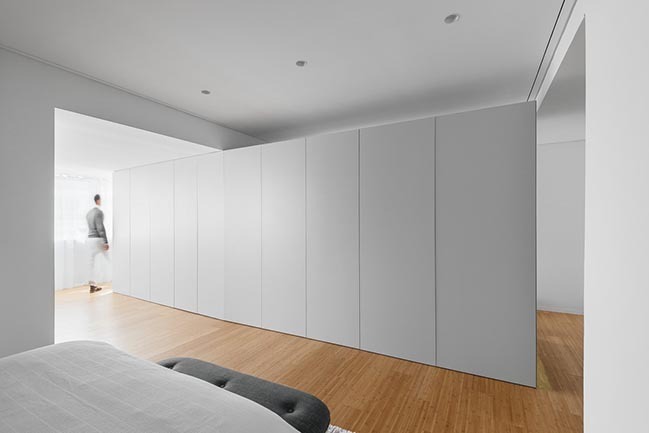 From the architect: A simple and effective solution arises over a central storage volume surrounded by all the different areas. 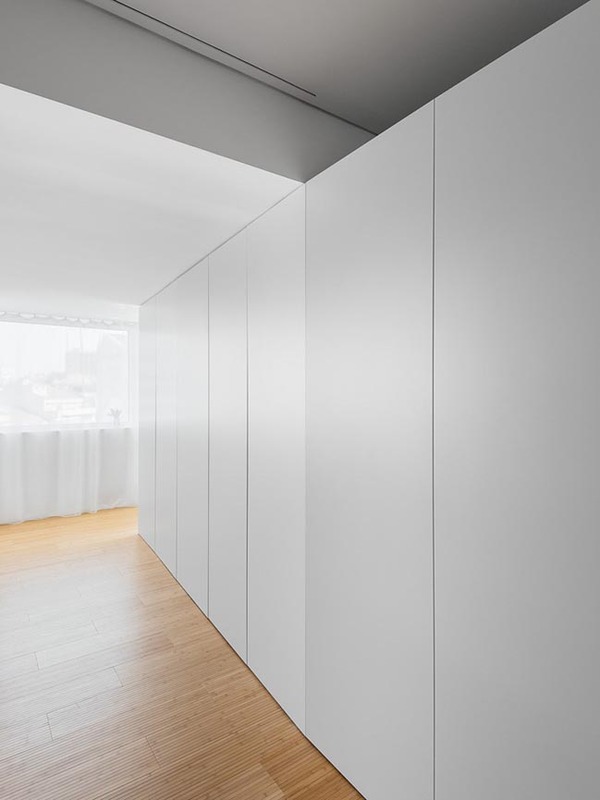 Through its shape and position this volume supplies storage to every area while, at the same time, supports the separation and a fluid circulation between them. 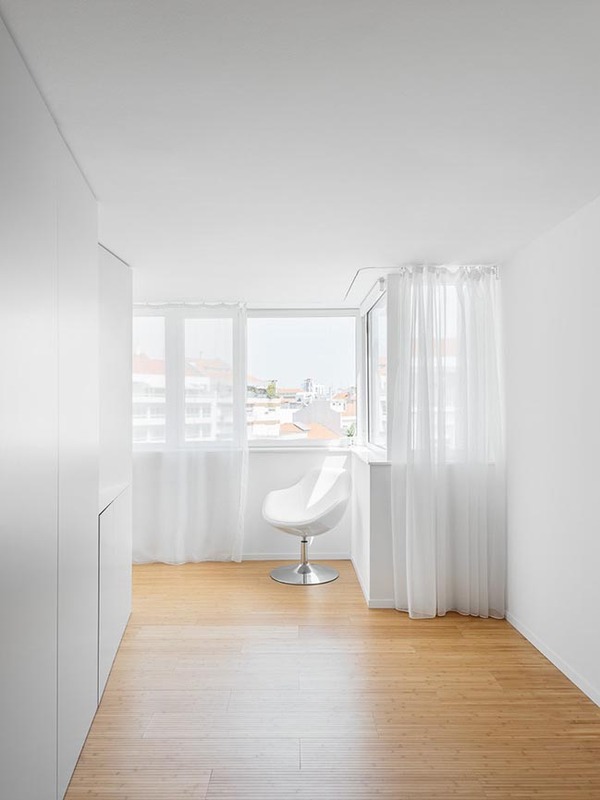 Despite its autonomy, it seeks to interact with the structure of the building and its windows, exposing the interiors to sunlight. 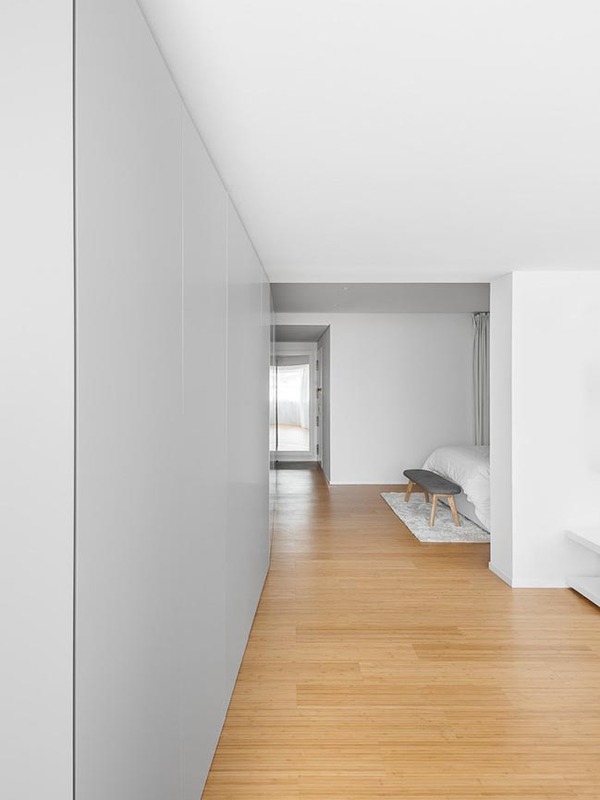 From area to area there are different ceiling heights that help to define its limits and its identity. 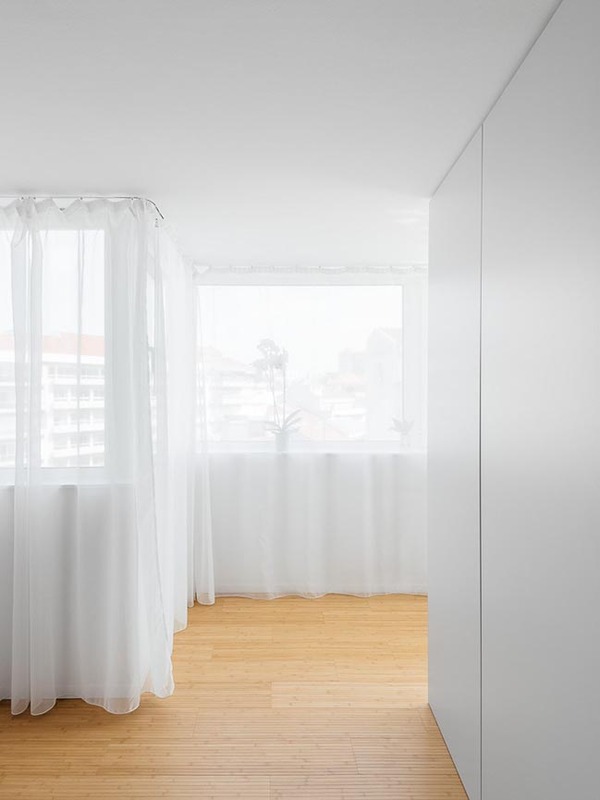 The single inner door closes up the bathroom, while the curtains help to adjust the sunlight and the privacy in the remaining spaces. 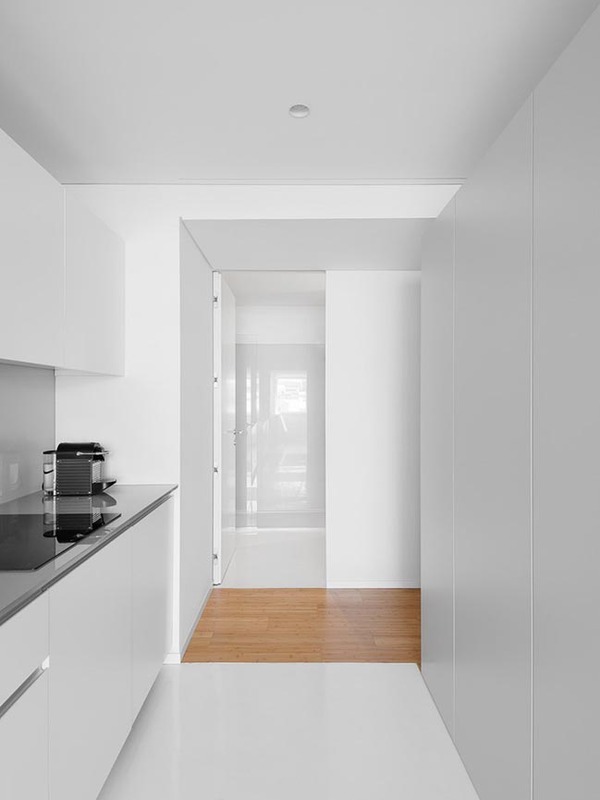 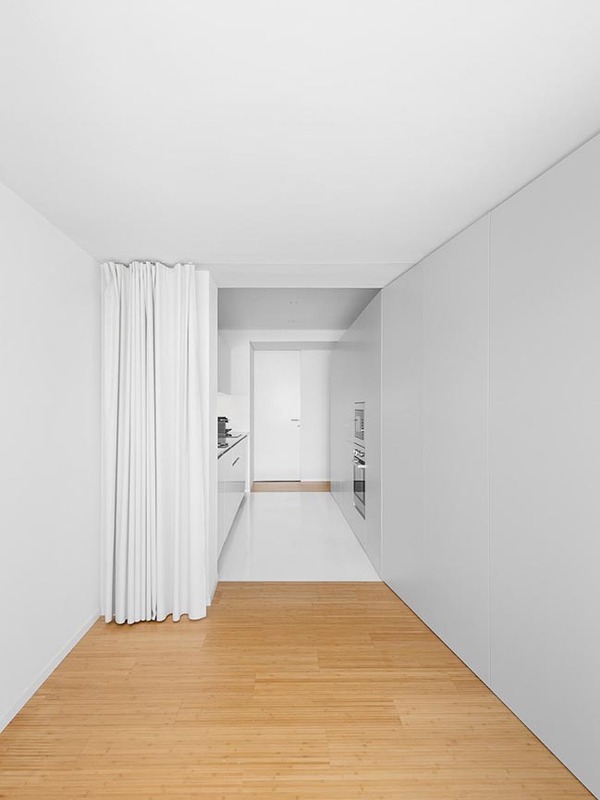 The intervention results in a simple house, that seeks to promote spaces dissociated from a specific use, always connected to the exterior and its light. 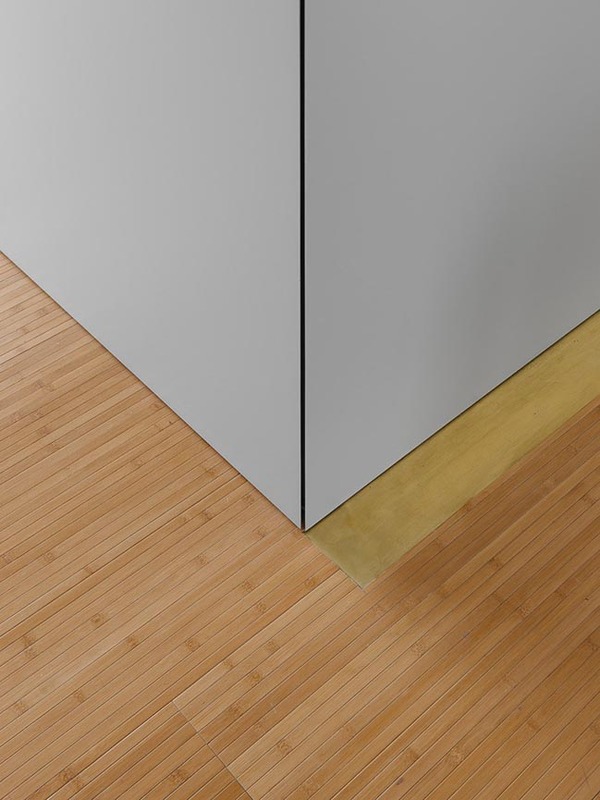 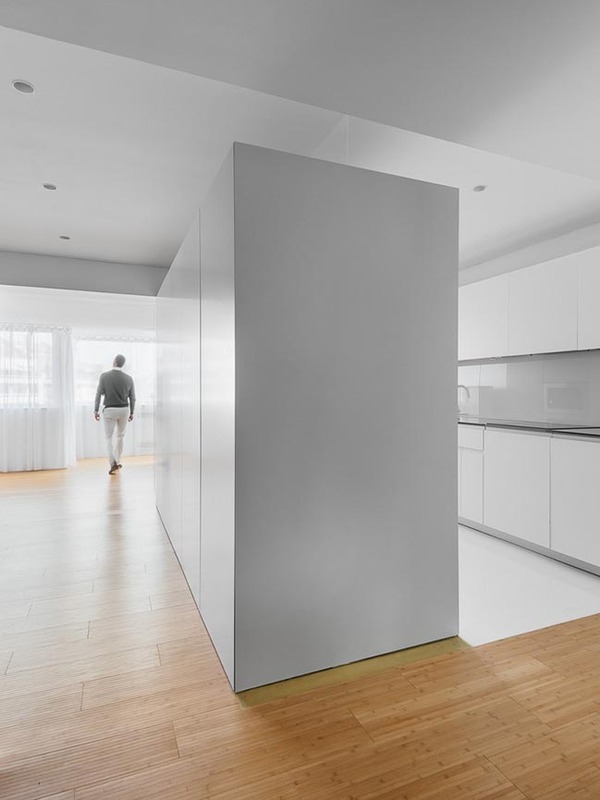 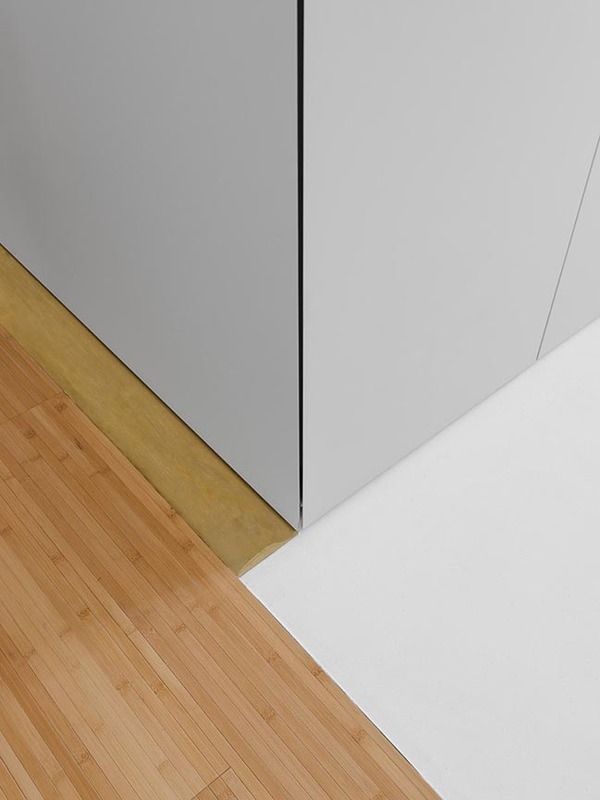 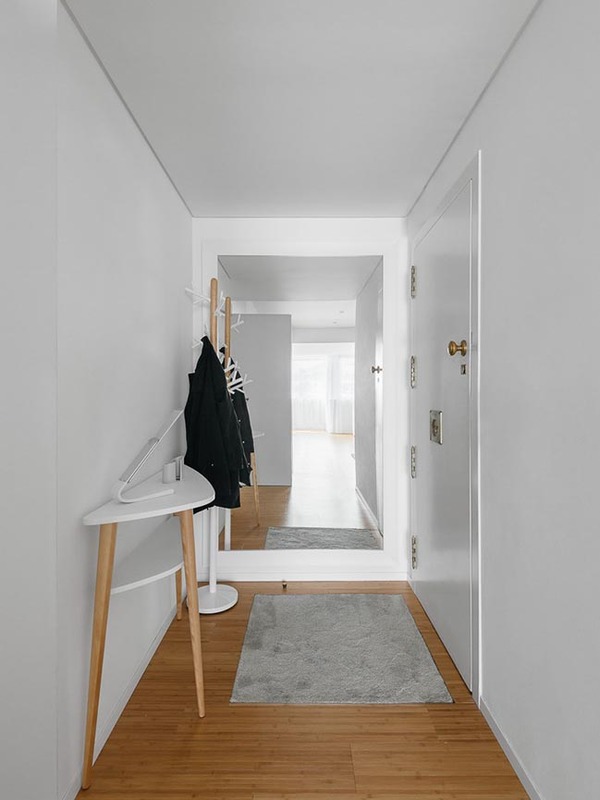 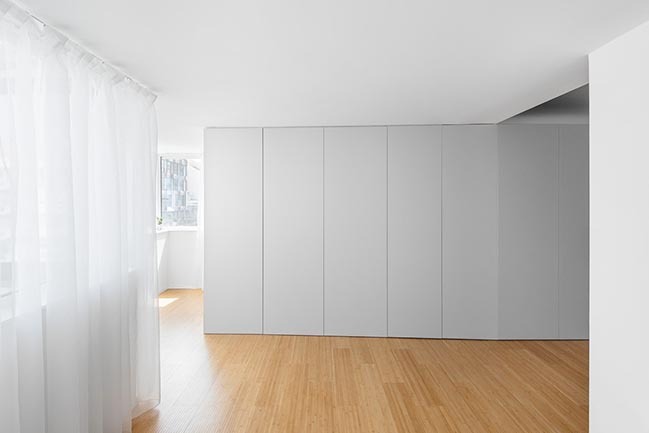 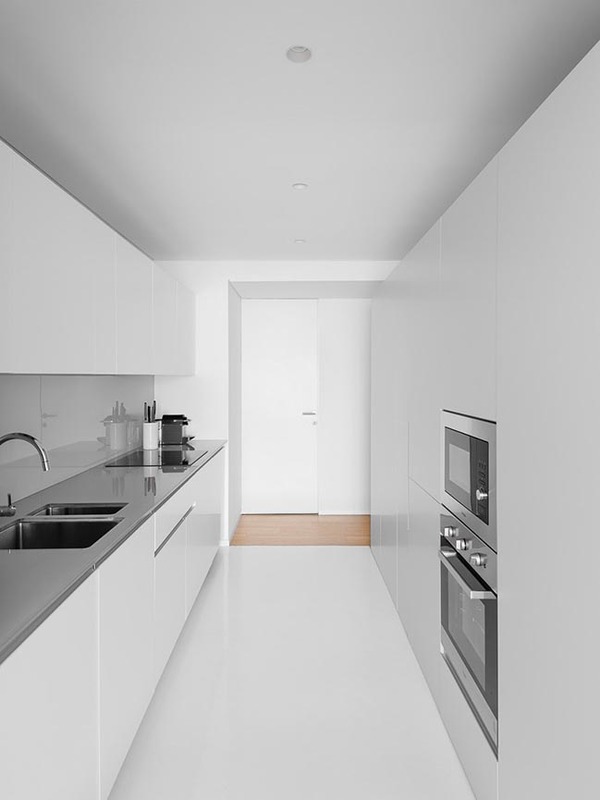 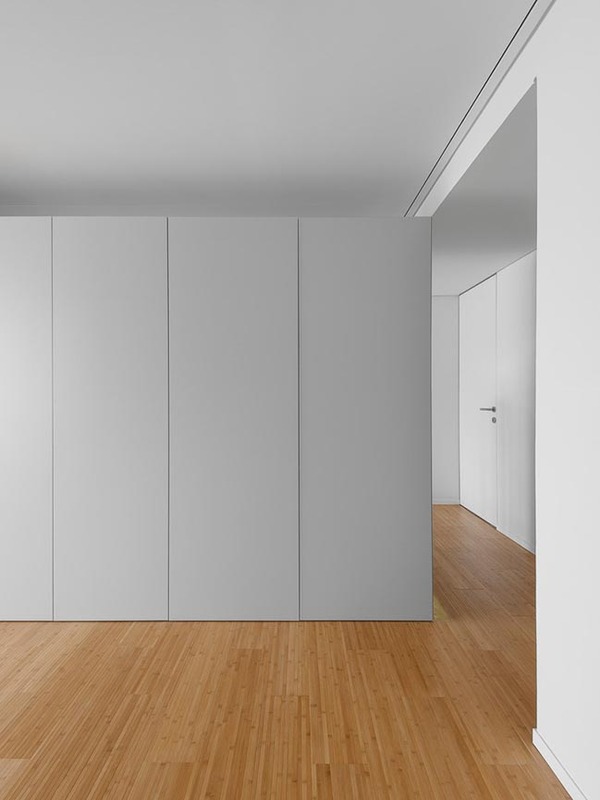 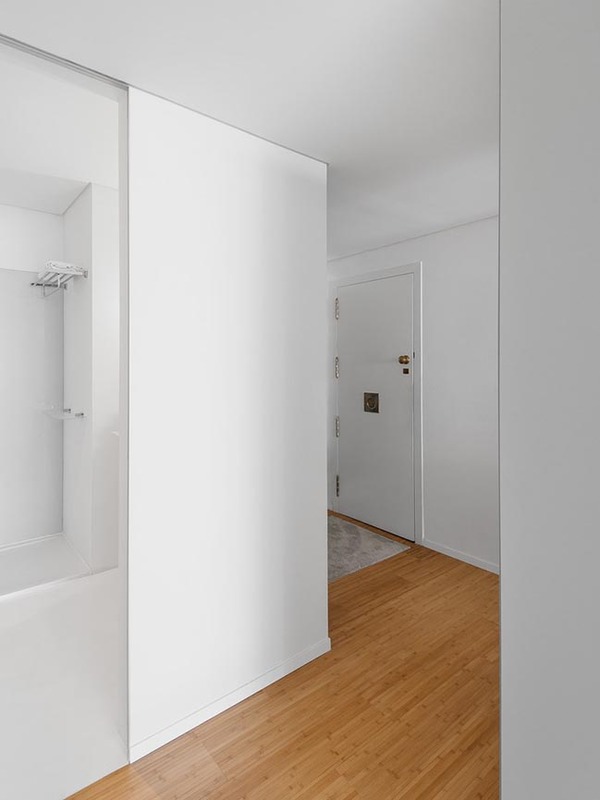 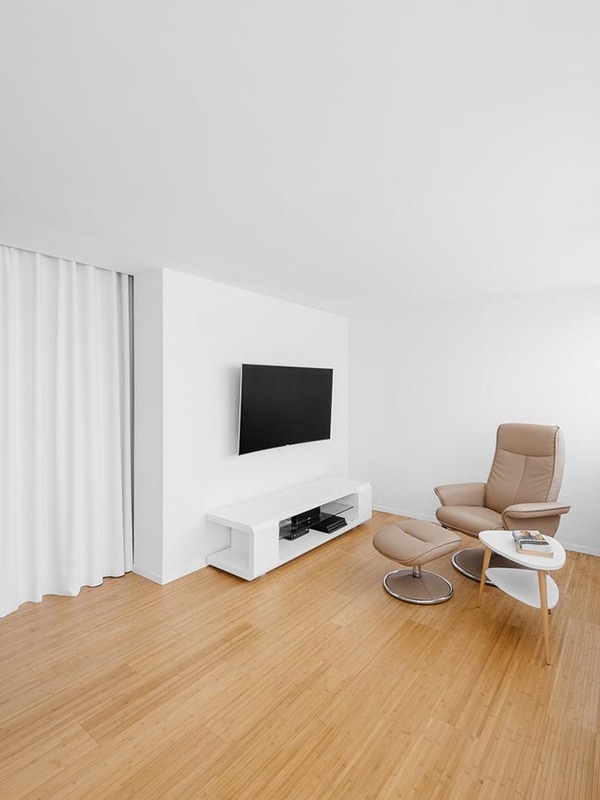 The glass and the self-levelling floor are predominant in damp zones while the wood extends along the rest of the pavement, solutions deeply related to the performance, the light and the acoustics of the apartment.